Berta Cáceres supported the Defend Ifugao campaign during the World Indigenous Summit on Environment and Rivers Baram 2015 (WISER). In spite of the escalating pressure on the Honduran government by international organizations and individuals to render justice for the killing of Berta, Berta’s colleague from COPINH, Nelson Garcia, was also extrajudicially killed on March 15, barely two weeks after Berta was killed. Garcia fought against land grabbing and was, in fact, killed in broad daylight while being evicted from their ancestral land that was illegally sold by their former mayor a few years ago. Ifugaos understand all too well the extrajudicial killings and political repression committed against indigenous peoples and organizations that are defending our lands, lives, and resources. Like Berta, IPM’s Human Rights officer, William Bugatti, was killed by elements of the Philippine military two years ago on March 25, 2014 because of his dedication in organizing and educating the Ifugaos on our rights as indigenous peoples and defending our lands and resources from destructive corporate projects. IPM members and staff, and community leaders in Ifugao have likewise been subjected to various forms of human rights violations, such as torture, harassment, threats, intimidation and political vilification for being vocal in our position against destructive energy projects. In Tinoc, the proposed mini hydro dam of the Ayala-backed Quadriver and Sta Clara energy companies has already caused division among members of the affected communities. The affected communities also reported that State security forces and some local government officials harass, threaten, intimidate, politically vilify, and are watchful of the Kalanguya people who protest the project. Prior to her assassination, Berta has also experienced harassment, intimidation, threats to her life, and placed under surveillance for protecting the Lenca community and defending the river against the Agua Zarca mega dam project that would have destroyed the indigenous peoples’ lands in Honduras. She led the Lenca people’s opposition against the mega hydro dam since 2013, which was paid back with retribution by the Honduran government. She has likewise pointed at US for its hand in the 2009 military coup in Honduras. The strong opposition of Berta and COPINH against the Agua Zarca dam and extrajudicial killings of Lenca people has resulted to the withdrawal of some of the dam project’s financiers, such as the World Bank, in 2013. After the killing of Berta, more international civil society groups are demanding for the pull out of the current financiers of the project. The IPM is also demanding for the withdrawal of Chevron, Santa Clara, SN Aboitiz and other private companies that are investing on energy projects in Ifugao. No one has to be killed before corporations withdraw projects that are opposed by indigenous peoples. Like William, Berta was a vocal IP leader. Her laughter and presence warmed up any space she occupied. Berta’s influence over the people was in conflict with the government and private companies’ profit driven agenda. Berta also taught us that international solidarity can never silence the people even in death. 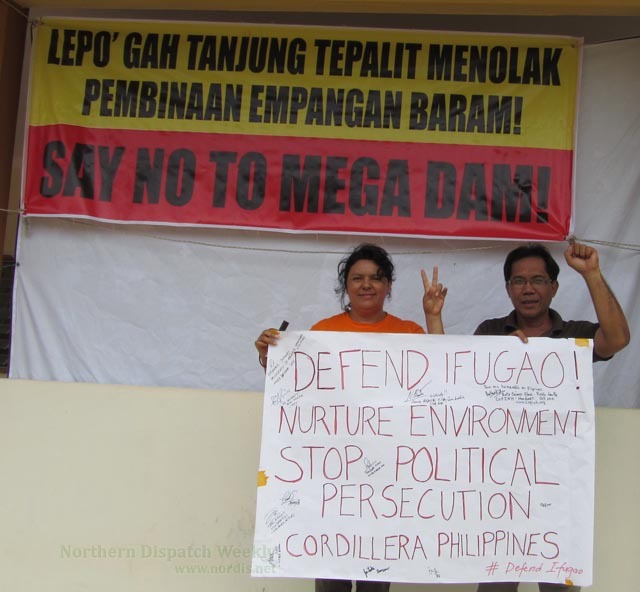 In October 2015, Berta joined the IPM in the call to “Defend Ifugao! Nurture the Environment and Uphold Human Rights”. 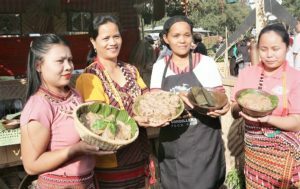 For this, the Ifugao people are grateful. Because of courageous leaders like Berta, Nelson and William, IPs are even more inspired to defend our rights to our lands, dignity, natural resources and environment from destruction by private corporations and governments. IP territories are the remaining territories of the natural environment where man and nature live harmoniously. 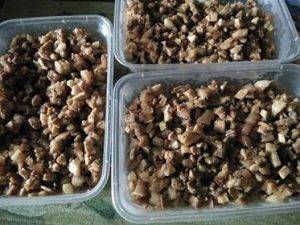 However, IPs are killed and displaced by growing development aggression through destructive energy, mining, agri-business plantations and other projects of governments and capitalists. Governments around the world like Honduras and the Philippines continue to systematically persecute activists like what they did to Berta, Nelson and William. The entry of destructive projects in IP territories, such as the energy projects in Ifugao are under the pretense of “sustainable, clean and green” environment by greedy corporations and governments. However, no amount of corporate social responsibility (CSR), or in plainer text, bribing, can sweep under the rug the violations these projects bring. We salute Berta, Garcia, William and all IP martyrs whose blood were spilled to protect our rights, welfare, and natural environment for the sake of the present and future generations. We salute all activists who continue in the selfless path of defending human rights and indigenous peoples’ rights.